Today, the RETAIL sector is changing fast. It is facing numerous challenges not only in terms of the offer, logistics and technological advances but also in relation to environmental and societal issues. How will we consume everyday goods and services in the future? In B2B? In B2C? In C2C? This complex challenge comes against an unprecedented backdrop of evolving consumption and the emergence of new expectations among consumers. Usage takes precedence over ownership, immediacy is king and the needs of personalisation, authenticity and transparency are becoming the norm. Chameleon-like and opportunistic, the consumer is discovering all the benefits to be drawn from this new retail experience, dubbed “phygital”, in which the distinction between the physical store and online purchasing has become blurred. In order to respond to these multiple behaviours and to win the trust of consumers, businesses have to devise an omnichannel strategy that makes the buying journey more effective, for real value creation. The ManEcho Distribution Unit supports its French and international customers at every stage of their development. 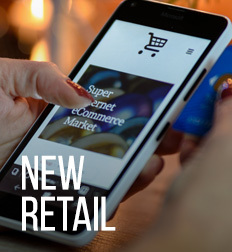 From the optimisation of sales performances to the development of new distribution channels, from the evolution of retail concepts to the overhaul of the digital ecosystem. ManEcho is recognised in France and internationally for its very considerable expertise in sales negotiation. Whether you are an industrial operator or a distributor, together we will establish the most effective sales strategy in order to boost your profitability and your market share. We will also advise you on planning ahead for and conducting negotiations at European level. Our mission: to support your teams in order to ensure continuity of know-how and to guarantee performance with a highly operational approach.